In the airsoft world, shotguns are a rare find. They often can be seen sometimes when the airsoft field is just mostly indoors. Airsoft shotguns do have a good shot. It is obviously way cooler to shoot a blast from an airsoft shotgun. 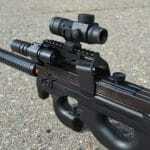 Practically, you can have an AEG in your hand and perform the best battle tactics during a combat. But an airsoft shotgun sounds so real when you start to give it a blast. The price can range from low to high depending on your need. Cheaper shotguns can be one of the best options for you because they still perform and function in good terms just like the expensive shotguns in the market. The Double Eagle M56C M3 Airsoft Replica shotgun is probably one of the few that can be bought in the market and can handle a good sense of use while using it in the airsoft field. The appearance of the Double Eagle M56C M3 Airsoft shotgun is very nice as compared to other shotguns. Not sporting out too much metal on the case, this shotgun feels great to handle as it has a pistol grip. It is rubber-coated and when you handle it, it feels comfortable yet sturdy, giving you that realistic feel that you are actually holding a real shotgun. There are somehow metal parts inside the shotgun and that would include the sling mount, trigger, front tube, and the mag release. The barrel is mostly covered with plastic but comes with a nice finish and can fool your eyes that it looks like a metal. The most obvious thing that you will notice are the internal barrels of the shotgun which looks pretty amazing even though it is a hard copy versus the original ones. The Double Eagle M56C M3 Airsoft Pump Action Shotgun is overall entertaining, ready to be used in a combat airsoft session together with other shotguns. It functions like a shotgun himself. 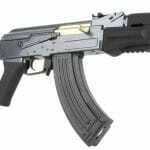 Comparing it to other airsoft shotguns, this one comes with an amazing price if you cannot afford to buy original and expensive airsoft shotguns. The bottom line of everything, this is one of the best value airsoft shotguns – even though a replication, a clone, or a duplicate – can still tantamount with other original shotguns and can battle with it head on head. If you have any chance on checking this kind of airsoft shotgun, then try and do not hesitate because it is all worth it. 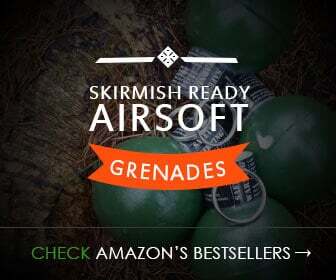 Extra mag packs are also available in a different purchase so you can have endless shotgun blasts during an airsoft session. Try picking this thing up!